A tough and dependable Kenwood ProTalk two-way radio is the one tool you’ll use to save time and money every day. Radios using UHF frequencies are the most popular, as they work well both indoors and out. However, radios using VHF frequencies will provide better range if you are using the radios in a fairly open area or outdoors with line of sight applications. 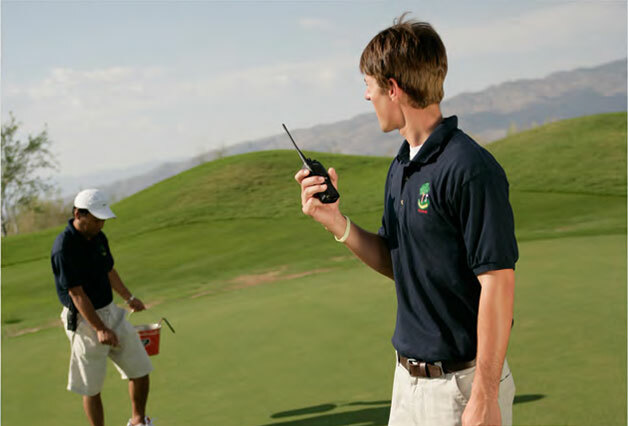 Very large golf courses will require powerful 5 watt radios and, in some cases, even require the additional strength of repeaters in order to get communications throughout the entire area, while standard two watt radios are sufficient for most. Ready to use, right out of the box, light enough to clip on a belt, powerful enough to talk across your property, it’s the perfect tool.